Dragons are in everything. Shows about thrones, games about the sky. In the Mists of Pandaria even turtles will have dragons in them, and pandas on top as well. 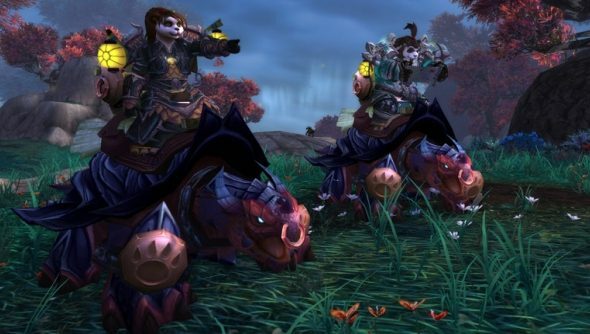 The upcoming WoW expansion’s new race’s mounts are a creature of Chinese fable: the Dragon Turtles. But then Blizzard recant that, because it has no bearing in how they’ll play, so really all we have is the name and the fact that they’re a bit slow and that the Pandaran’s like them because they’re a bit wobbly and need a steady base. Looking at the screens, there’s no suggestion of fire-breathing or the power of flight, so expect it to be more turtley than dragony.